A day after General Motors recalled nearly 200,000 of its previously discontinued Saturn and Saab vehicles as part of the ongoing Takata airbag defect debacle, federal regulators hinted that a complete recall of all vehicles with any airbag by the Japanese parts maker could happen, eventually. Through a series of piecemeal recalls, 24 million vehicles from 14 different automakers have been flagged for being equipped with Takata airbags that could explode with too much force, shooting pieces of shrapnel at drivers and passengers. The Associated Press reports that this scattered approach to the recalls has left safety advocates and lawmakers concerned that millions of other potentially unsafe cars remain unchecked and on the road. National Highway Traffic Safety Administration spokesperson Gordon Trowbridge says the agency currently doesn’t have enough data to justify an all-encompassing recall of every Takata inflator, but didn’t put the idea out of the realm of possibility. Instead, NHTSA has given Takata until 2018 to fix the exploding airbags or issue a blanket recall, the AP reports. However, that directive isn’t sitting well for many people, including Florida Senator Bill Nelson, who expressed his concerns over the current recall process in a letter to NHTSA earlier this month. His consternation was echoed by vehicle safety experts who estimate that as many as 50 million potentially dangerous Takata airbag inflators in cars have yet to be recalled for repairs. Cars that contain a Takata airbag inflator, but haven’t been recalled, can be hard to identify, the AP reports, noting that owners can only get the information from carmakers, and some of those companies aren’t exactly offering up that information. 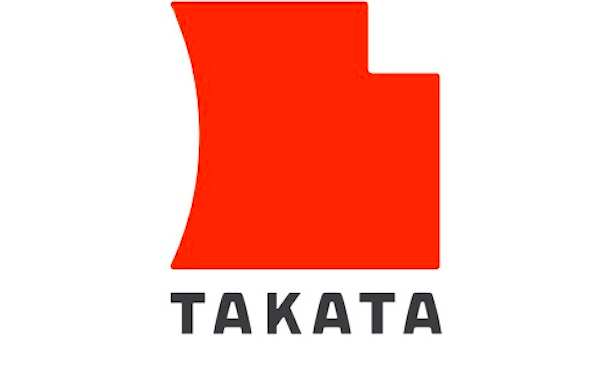 A separate letter from Senators Richard Blumenthal, of Connecticut, and Edward Markey, of Massachusetts, asked President Barack Obama earlier this month to force Takata to publish all makes and models of vehicles made since 2000 that contain its airbags. “Every consumer deserves to know whether their vehicle could be lethal in a fender-bender,” the senators wrote. The issue was highlighted recently when the ninth Takata-related death in the U.S. – and tenth worldwide – was reported in December. Trowbridge, with NHTSA, says the vehicle driven by the South Carolina man, a Ford Ranger pickup truck, hadn’t been part of a recall. Ford announced a recall of Ranger trucks following the accident. But even if NHTSA issues an all-encompassing recall of vehicles with Takata airbags, most vehicles would continue to operate on the roads, potentially putting drivers and passengers at risk. That’s because Takata and other parts makers have been struggling to keep up with replacement part demands. So far, just five million of the recalled vehicles have been received replacement inflators. Takata, which has ramped up production of the parts, says it and other suppliers can only make about 1.5 million replacement parts each month. Of the estimated 18 million replacement inflators made each year, some of those would have to go to other countries where 30 million inflators have been recalled, the AP points out.